This bright and modern spa has a thermal suite with two saunas, two steam rooms, a caldarium and mud rasul. Embrace your inner mermaid and dip in and out of the five different pools: a 25-meter swimming pool, a balcony infinity pool, a hydropool, and indoor and outdoor whirlpools. The 14 treatment rooms offer ESPA facials and body rituals, while groups can hire the Beauty Snug. Post-treatment, curl up in the soundwave therapy pods in the sleep sanctuary or relax in the spa garden. 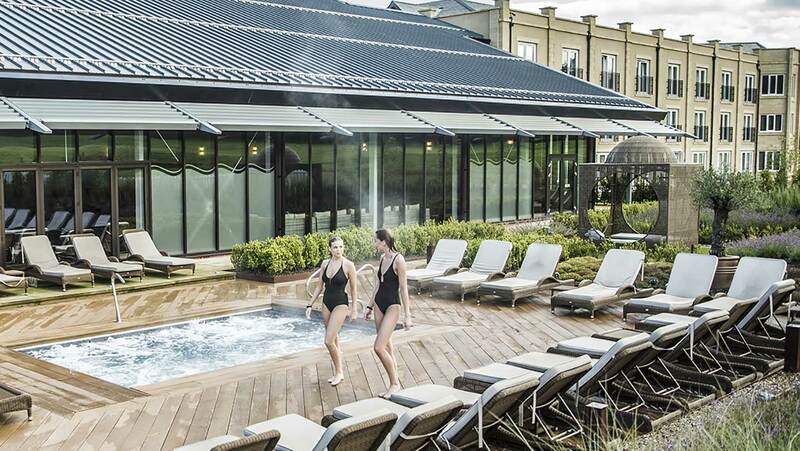 The Spa at Ramside Hall is in a large, modern extension to the original manor house hotel. It shares the pool, gym and Fusion restaurant with health-club members and hotel guests. 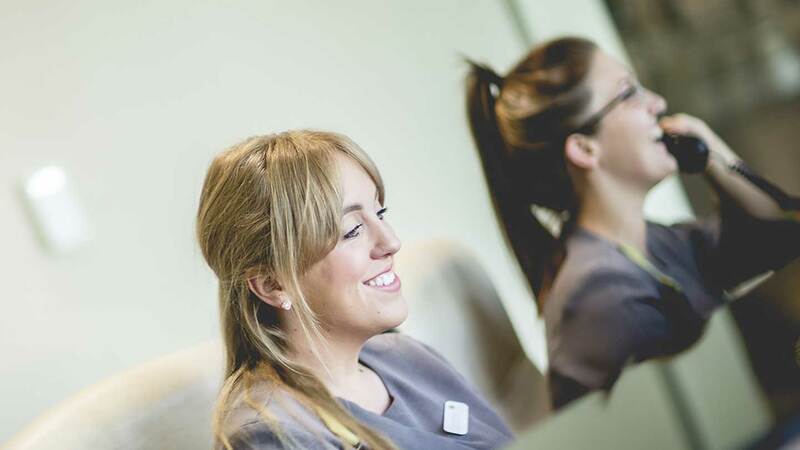 The spa has a light, bright reception area with welcoming staff behind a desk who will soon orientate you. They issue you with a wristband that gives you access to the changing rooms and thermal areas. Just about anything you would want at a spa. Ramside has three changing rooms: male, female and family/accessible. Each has plenty of lockers, and the female side has two private changing cubicles, three bathrooms and five showers which are well stocked with ESPA body wash, shampoo and conditioner. A well-lit area with mirrors and hairdryers is where you can sit and preen post-spa, and there's plenty of stylish white seating around. The male changing area has a sauna. On the way out to the pool, choose a pair of flip-flops from a collection in baskets. The 25-metre swimming pool is light and bright with windows overlooking the garden and plenty of loungers around the edges. To one side is a bubbly hot tub. The large, wooden "sunken" sauna is hot (90-100 degrees Celsius) with a very dry heat, so take a towel inside to sit on. Next to the sauna is a hot, aromatic steam room with mosaic tiles and lights in the ceiling. You'll need to use your wristband to go through double glass doors into the large hydro-pool. The space is peaceful and relaxing, with the gentle sound of water creating a soothing ambience. Immediately on your left is the caldarium which has warm blue and black tiled benches. We found this a good place to warm up and unwind. The hydro-pool has various massage jets, including some effective back and shoulder soothers. The Himalayan salt steam room was warm and invigorating on our visit, while the herbal infusion sauna has a glass wall overlooking the spa herb garden. Anyone feeling brave (we weren't) can cool off in the drench showers filled with iced water. To one side of the hydro-pool is a small juice bar where you can help yourself to flavoured waters or order drinks and smoothies. Outside is a spa garden built around an outdoor vitality pool. Even on a dull overcast day, the water was warm enough to tempt people outside. On a sunny day, relax on one of the many reclining seats or head into the wicker "cabin" in the garden with its two beds. 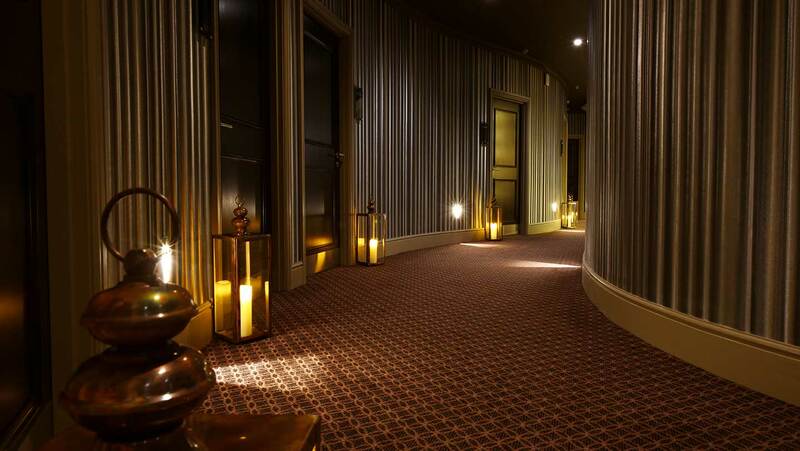 Upstairs are the treatment rooms, the Beauty Snug (where you can sip a glass of Taittinger while a therapist attends to your hands and feet) and the low-lit Sleep Sanctuary with massage beds. There's also a small, private bookable space with relaxation beds and an infinity-edge pool, ideal for small groups. The gym on the first floor has a large window overlooking the pool, as well as a good range of cardio and resistance machines, and weights. We tried the ESPA Pure Radiance Ritual (120 minutes, £145). Brianna, my therapist, began the treatment by conducting the signature ESPA scent test; I opted for a massage oil containing tea tree and eucalyptus -- not scents I would usually choose but, as Brianna pointed out, I was suffering from a cold so probably needed a boost. As soon as I lay comfortably face down on the treatment bed, Brianna held an inhalation bowl under my nose so that I could take deep breaths of the warm oils. My head immediately felt better. Brianna followed this with a very soothing back, arm and leg massage using hot stones. Feeling more relaxed, I turned over so that Brianna could repeat the massage on my front, stretching my arms and legs at times to loosen my tight joints. The facial began with a careful inspection of my skin using a light lamp; Brianna identified it to be both dehydrated and oily (combination) and chose products to help, including two different face masks. After a double cleanse and moisturise, Brianna applied the first mask; while the second mask worked its magic, she treated me to a blissful scalp massage using ESPA's Pink Hair Mud, a product that always gives my fine, fly-away hair some body. A fine cooling spray containing rosemary and rose oil marked the end of this two-hour treatment. I entered the treatment room full of cold and left feeling much better with glowing skin. 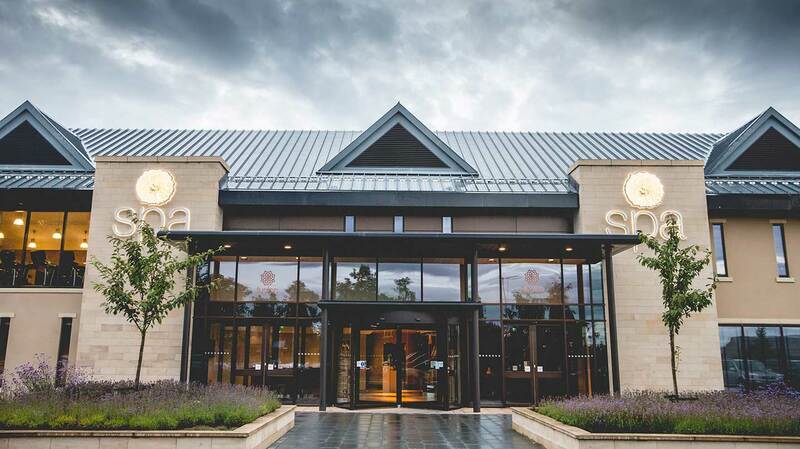 The Spa at Ramside offers a wide range of ESPA massages, body treatments and facials, plus a couple of signature treatments unique to Ramside. You can also try manicures and pedicures, scrubs, and rasul mud therapy. The menu also includes make-up by Mii, and treatments for men and mums-to-be. 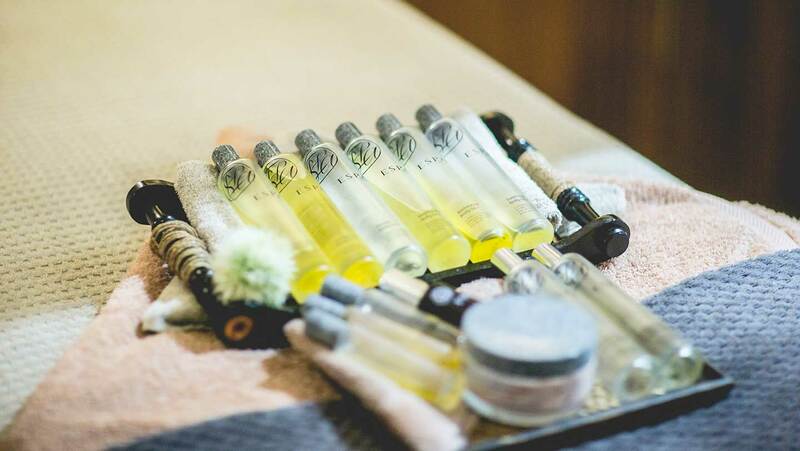 Ramside Hall Hotel is part of Wellness for Cancer which means staff are specially trained in massage, manicures and pedicures which have been created to ensure anyone whose life is touched by the illness can feel relaxed and comfortable. The Fusion Spa Café is open all day and offers a great brunch, from smoked salmon and scrambled eggs to a full English (or a veggie version) or granola and yoghurt. We opted for warm and fresh croissants with large cups of coffee. 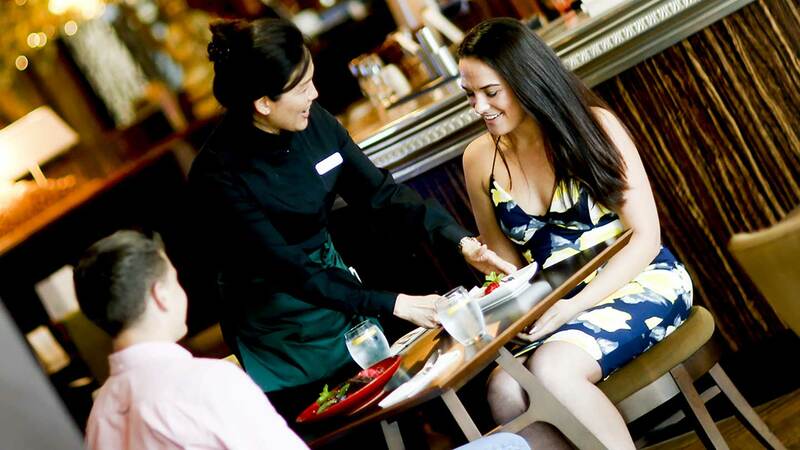 Asian-inspired dishes are on offer at lunchtime and during the evening; even the afternoon tea includes dim sum and spring rolls. Portions are large, and the food is quite rich. Still dressed in our robes, we tucked into dim sum and found it just the right amount of food for lunch. You can also order Bento boxes, Shanghai noodles, Thai curries, or more traditional sandwiches, wraps and fries. We returned later that evening for dinner and opted for the the Pad Thai which was rather more than we could eat on a spa day. The noodles were soft, but the sauce was not as spicy as we would have liked. 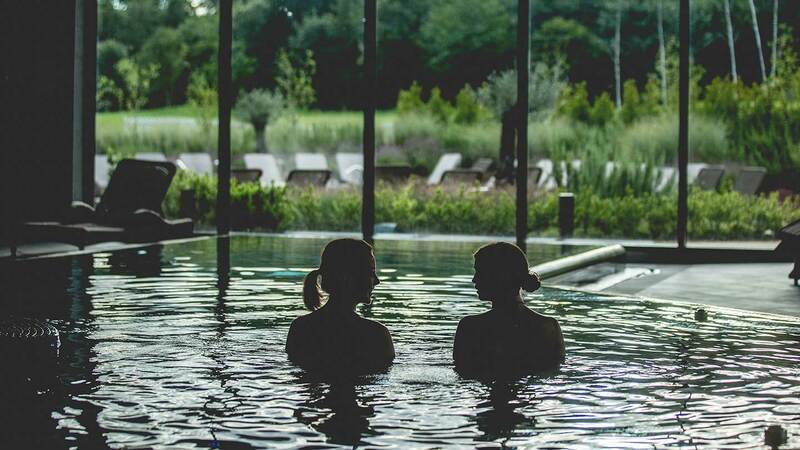 The range of experiences on offer: Whether you want a brisk swim, a gym work-out, a soothing steam, or just to relax, Ramside has something for you. The brilliant spa butlers: They folded towels, fetched drinks, chatted to guests, and spotted when people were looking for seats. The spa bedrooms: These are modern and light, and decorated in soft greys and greens. As they are near the spa, overnight guests can drift from room to spa in their robe and flip-flops. The lack of a relaxation space: The pool area can feel busy after a while; it would be nice to have somewhere quiet to escape to. Small groups of friends: The Spa at Ramside is a relaxed, social spa with many different spaces, ideal for friends to enjoy a catch up. Couples can enjoy treatments together, or book the infinity pool area for maximum peace and privacy. Golf widows or widowers: If your partner is a keen golfer and you are not, send him or her off to the golf courses while you chill out in the spa. 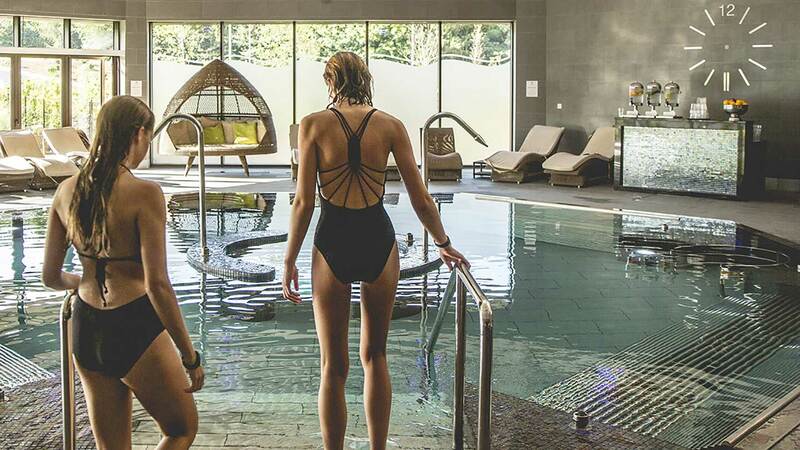 We awarded the Spa at Ramside a Good Spa Guide Bubble Rating of 5 Bubbles for its light and airy design, range of experiences, enthusiastic staff, excellent treatments, and delicious food. The Spa at Ramside also offers good-value spa days and stays, with something to tempt almost everyone. "Lovely place to relax & let of steam "
"My friend and I had a spa day here which included 2 course lunch and 55 min massage. We had a fabulous time, the food was gorgeous (portions a bit on the large side, some lighter options would have been nice). Shauna did my massage and she was fabulous- really relaxing and tackled my knotted/tense muscles. The relaxing ‘sleep’ room afterwards is a nice touch. We throughly enjoyed ourselves and felt truly pampered. Thank you Ramside! We will be back." "I enjoy ramsise as the atmosphere is perfect. The staff are all friendly and treatments are always good. " 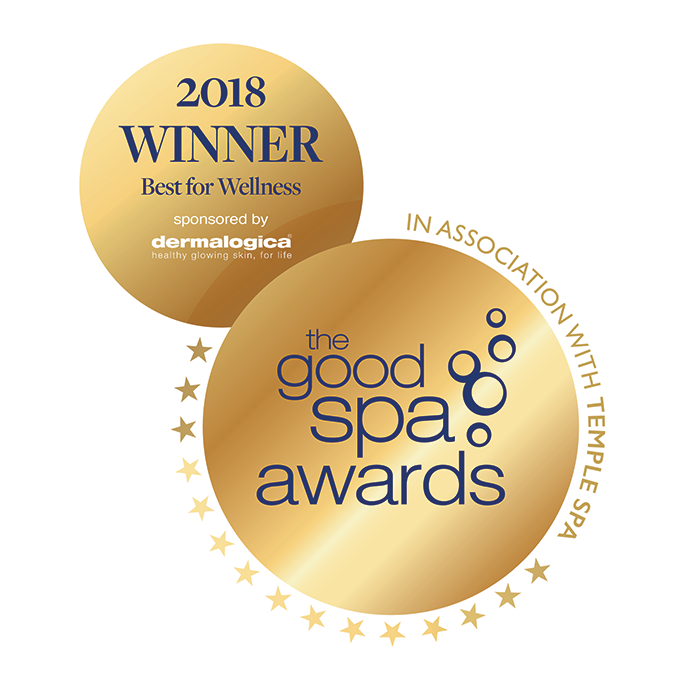 "Best spa and hotel I've ever been "
"I have visited the Spa with young children and was happy with the designated times for pool use so as not to interrupt other spa goers looking for a more peaceful, relaxing time. The changing rooms are clean, spacious and warm, and there are plenty of towels and robes available as well as ESPA shampoo, conditioner and body wash, products I adore. An excellent family experience in an amazing 25 metre pool." 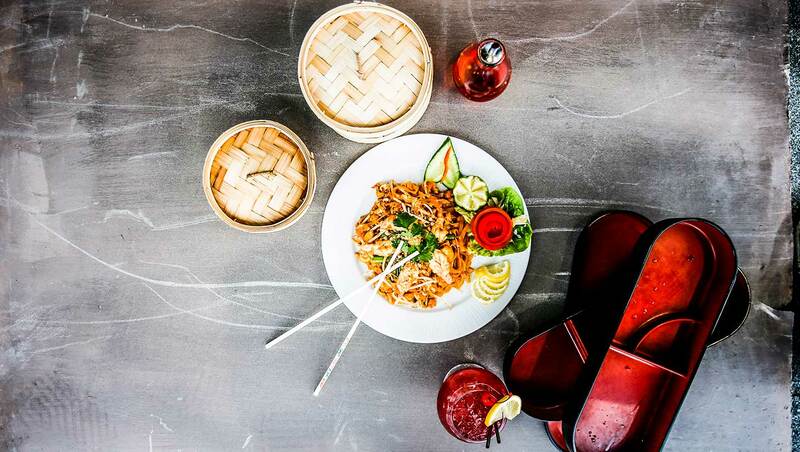 The Fusion restaurant serves pan-Asian food including light bites, afternoon and tapas. 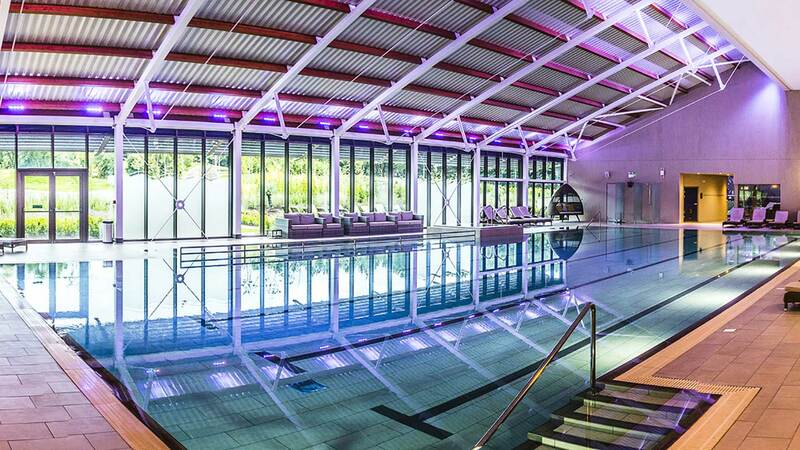 Ramside Hall has 127 rooms, 47 of which are newly built alongside the spa. The spa facilities are open Monday to Friday: 6.00am-10.00pm; Saturday and Sunday: 7.30am-9.30pm.